The controversy surrounding Manikarnika continues and Twitter becomes the platform for the war of words between director Krish and Kangana Ranaut's sister Rangoli. When Rangoli Ranaut alleged that Kangana had completed the film and that Krish was not involved with the final cut, the director came up to defend himself in a series of tweets. 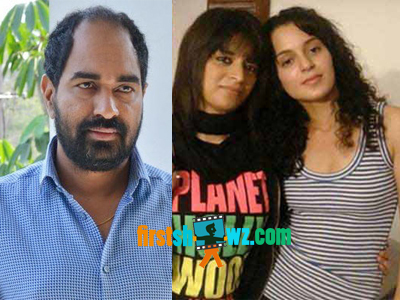 Krish alleged that Kangana had made up lies and was misleading the situation. “I’m confidently saying that everything Kangana has written on those whats app messages when I’ve questioned her, are complete lies and prepared, as she has foreseen that this day will come,” the director tweeted. Krish shared some of the messages his crew members shared with him and clarified that it was he who shot major portions of Manikarnika and not Kangana. Both Krish and Rangoli aren't leaving the issue, and the spat becomes uglier on public platform. The unit should resolve the issue internally and move on rather than making things public.